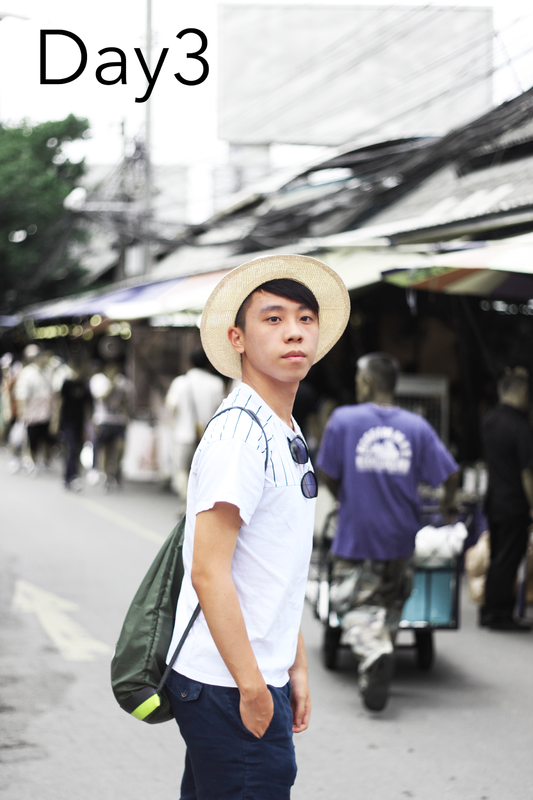 It has been two months since I last visited Bangkok. All I wanna say is Bangkok is definitely worth visiting! 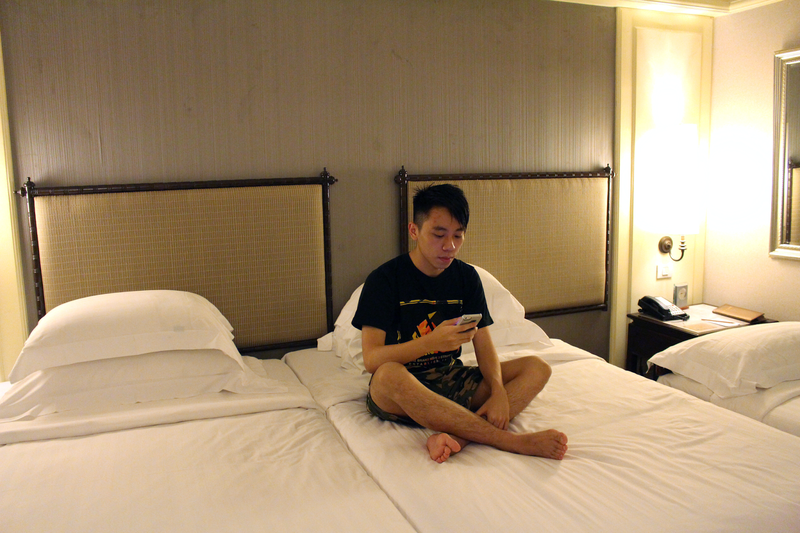 I didn't have much expectations when I was planning to visit Bangkok. I'm really glad I chose this place at last. 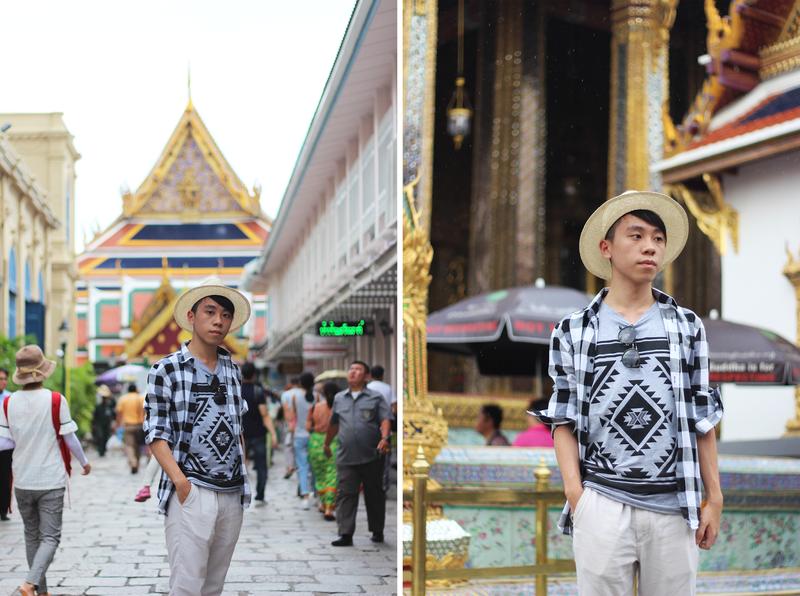 Not gonna lie, I'll definitely come back and visit Bangkok someday soon. The people, the food, the Palace are too amazing! And there are much more. 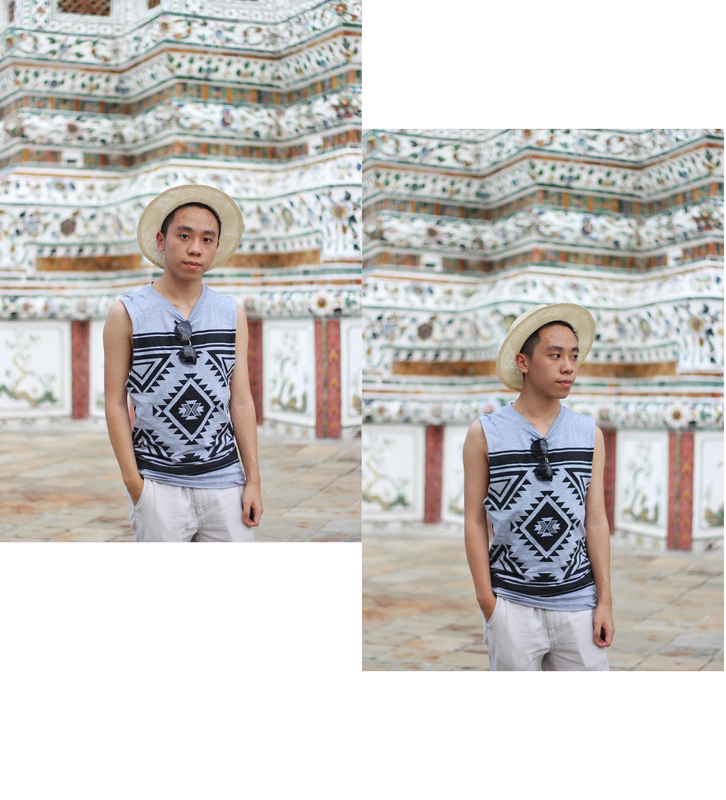 Although we only stay in Bangkok for three days, I've grown so much love for Bangkok! 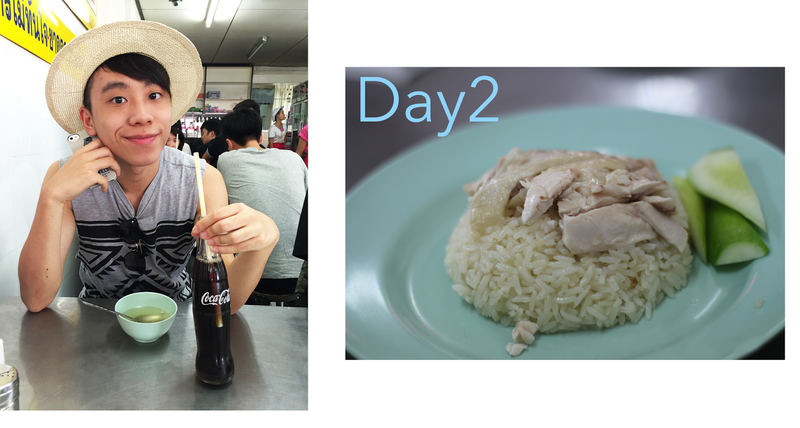 Here are some recommendations for what/where you can do/eat/visit when you go to Bangkok. Eat, eat and eat! 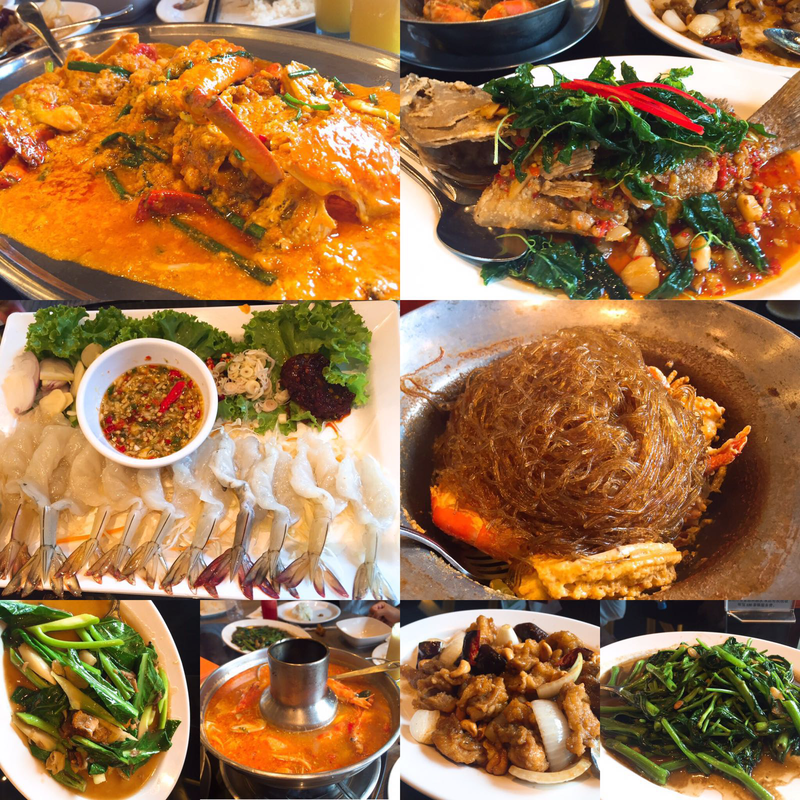 I really like eating Thai cuisine. 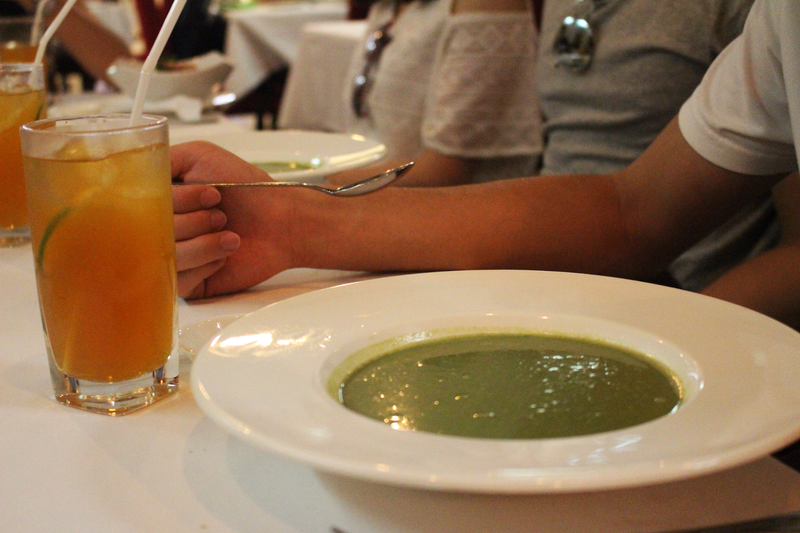 Most of the Thai cuisine are spicy, sweet and sour. I think one of the best Thai restaurants is NARA! You should definitely check it out when you visit Thailand. 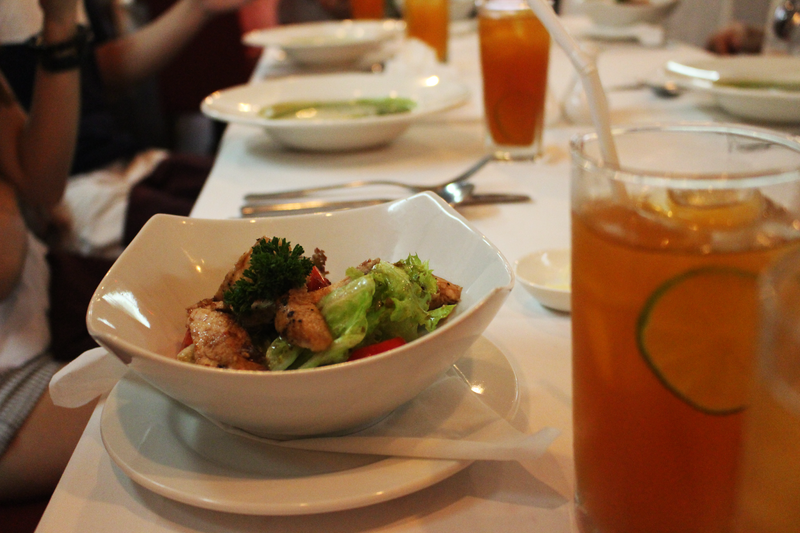 For further informations concerning about that restaurant, you can search online. Also, you have to try to eat some Thai food on the street. I think most of them are great. "Pad Thai" is my favourite of all time! 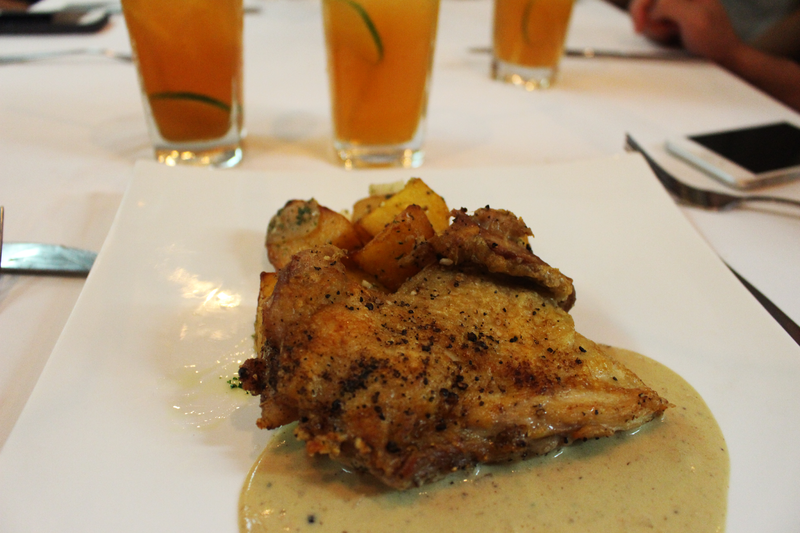 Moreover, you can also eat different kinds of cuisine there. 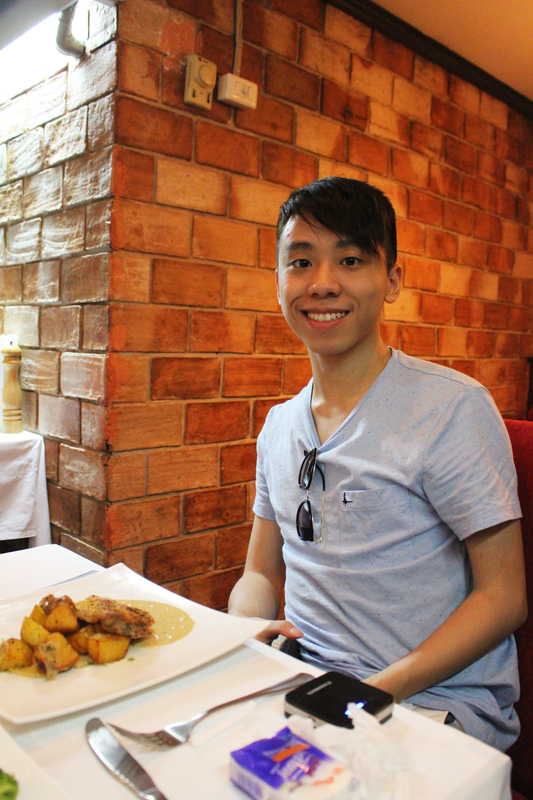 Since most of the food in Thailand are much cheaper in general, I actually ate French cuisine there! I only did massage one time in Bangkok. Because I think one time is enough. Health Land is quite nice! But you have to book in advance! You can't walk in to do massage because most of the them are quite full even during normal weekend. I have to say it's quite uncomfortable when I was doing massage even though you know the masseurs are professional. Luckily, when you've finished the massage, you will feel so relaxing! Rooftop Bar is another must-do/go activity in Bangkok. 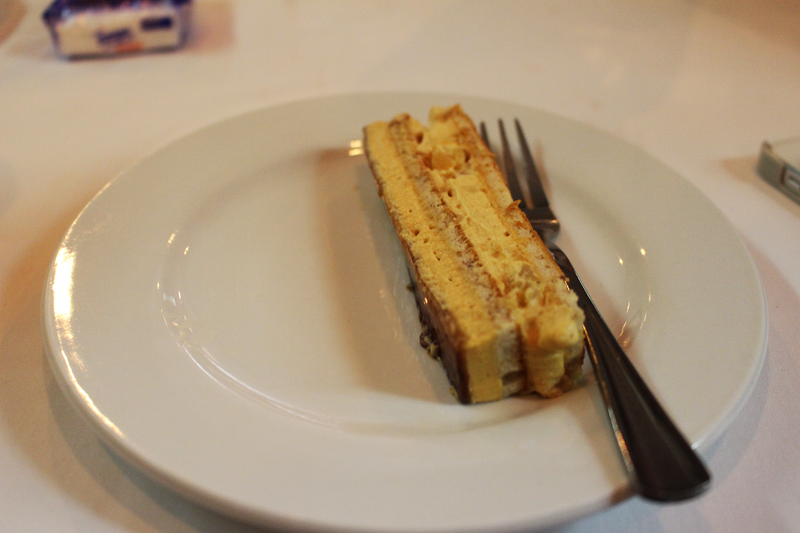 Moon Bar is a good choice. 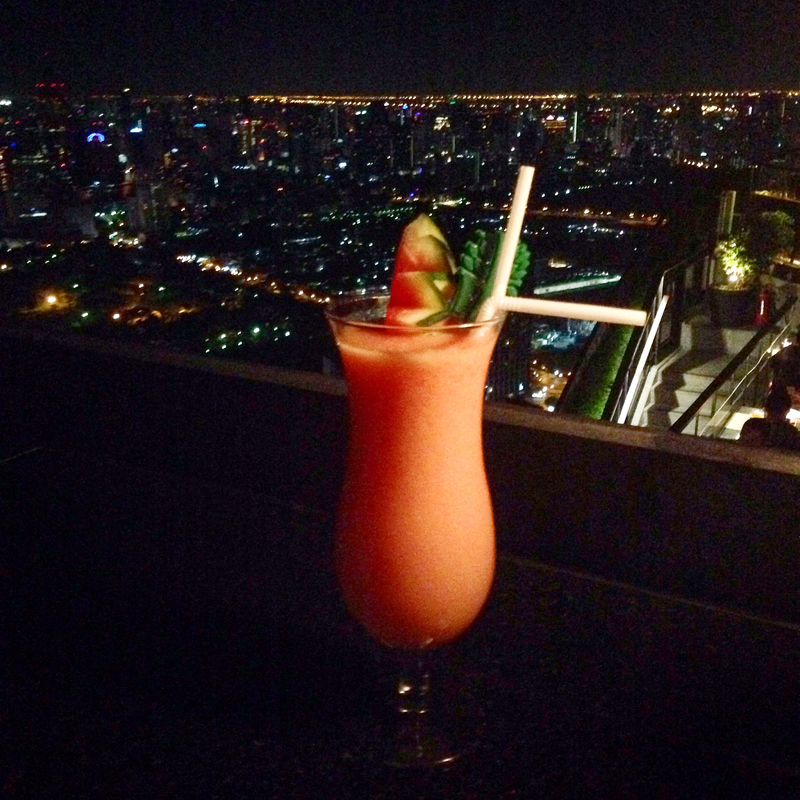 The reason for going to rooftop bar at Bangkok is because of its cheap price. Also, you can enjoy the beautiful view of Bangkok! 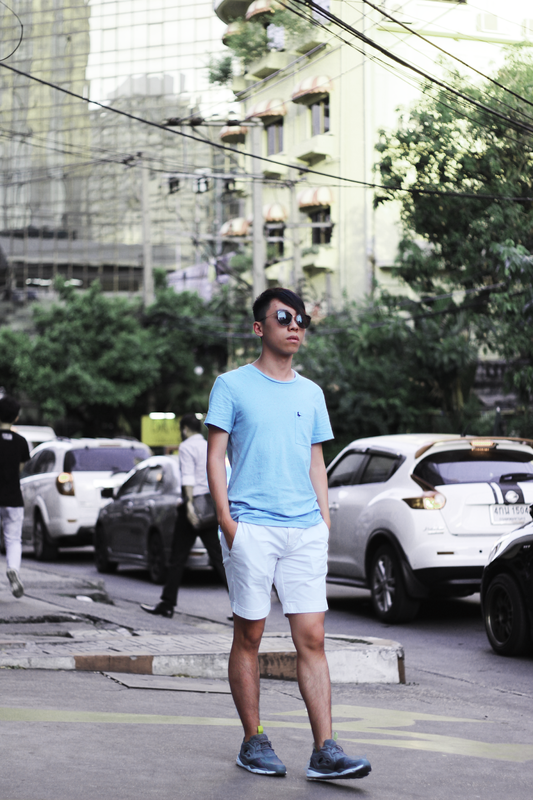 When I looked at the view of Bangkok, I was totally astonished. I remember saying stuffs like "OMG, is it for real? So beautiful!! "(Side story, haha). Anyway there is dress code for entering rooftop bar! You also need to check for more informations online. 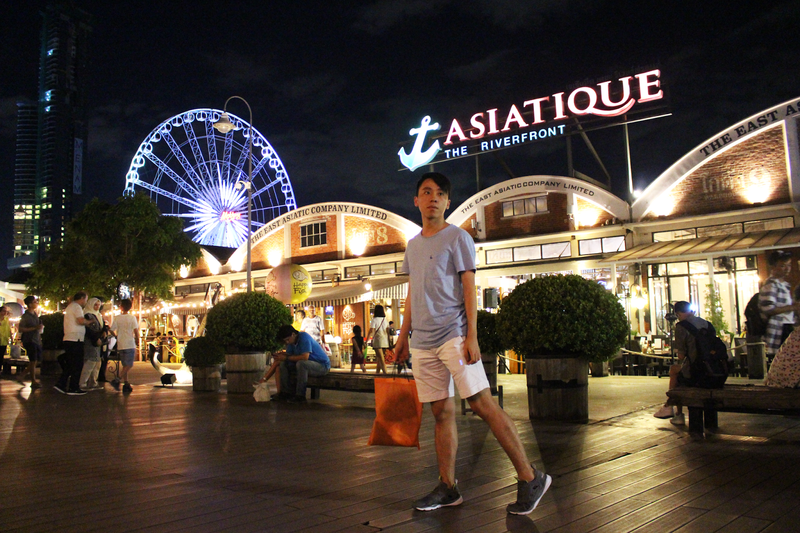 You shouldn't miss shopping in Bangkok! Most of the stuffs are so cheap! 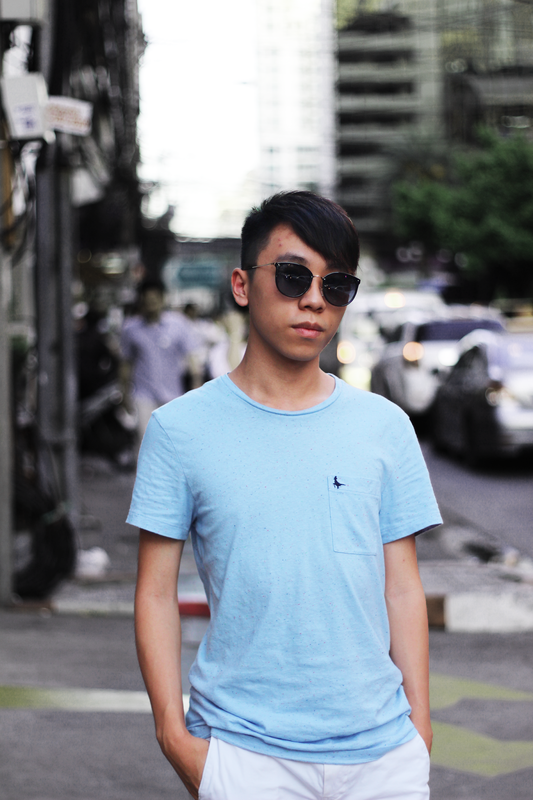 Siam Square, Siam Paragon, Central World are some of the good shopping locations you can go. 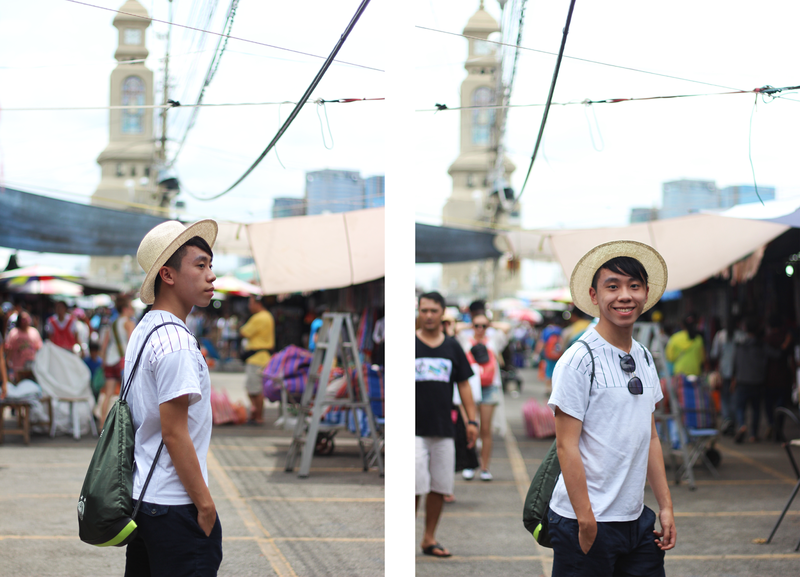 Also, you can't miss a very famous weekend market --- JJ Market (Chatuchak Weekend Market). Once again, most of the things there are very affordable. I bought some tees and a backpack there! I remember the pineapple backpack that I bought there only costs HKD$50! 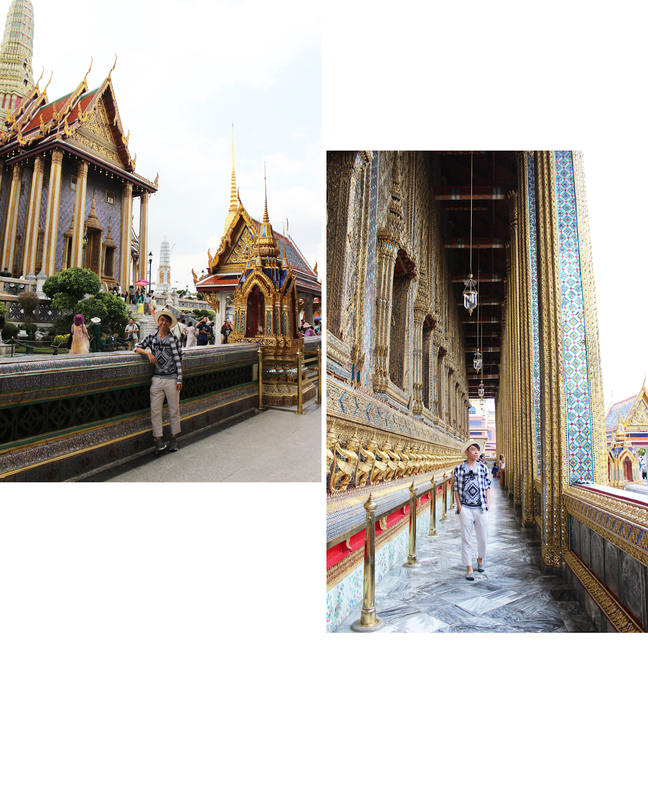 When it comes to Tourist Spots in Thailand, it is a must to visit Grand Palace in Bangkok. It's simply too beautiful there! However, you need to notice that there is dress code you need to follow when you enter the Palace. 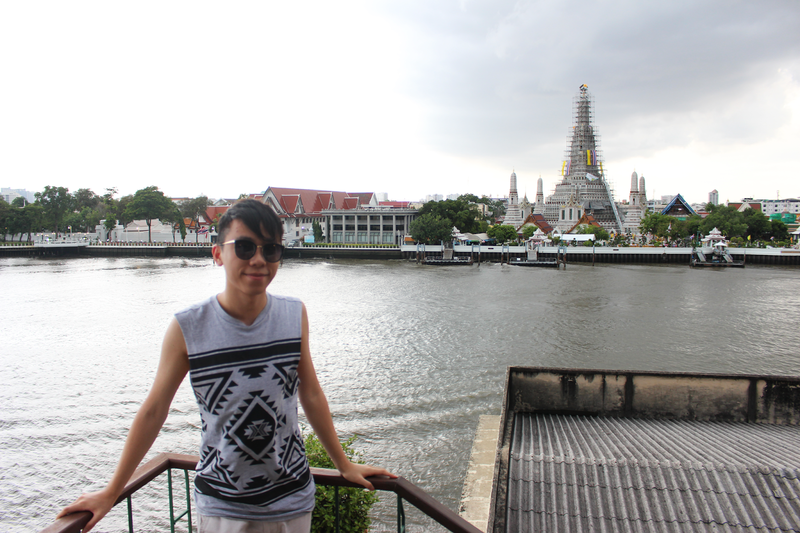 Furthermore, I visited Wat Arun Temple. I also recommend this because that place has much less people. You can take a lot of beautiful pictures there! If you have any questions about Bangkok, feel free to email me! I would love to answer your questions! 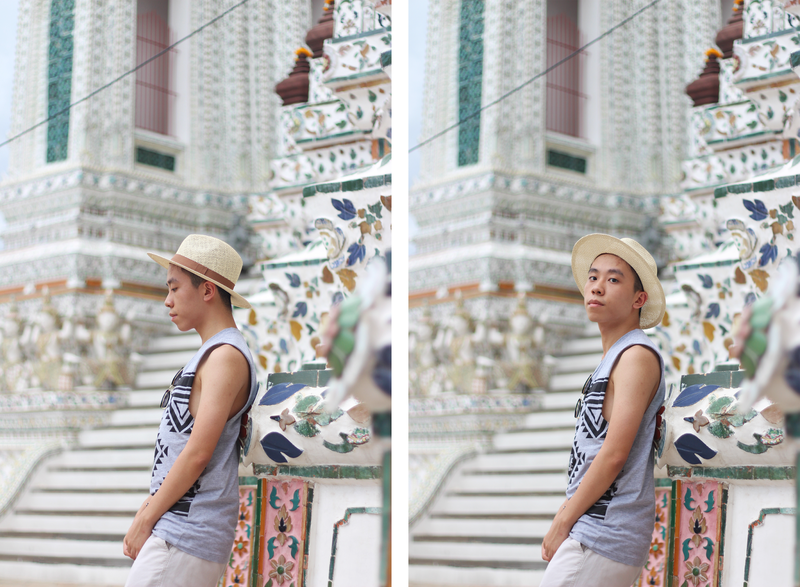 Hopefully these tips can help you a lot when you go to Bangkok! Fabulous pics and style Daniel! That t shirt you are wearing is so classy. Love it. 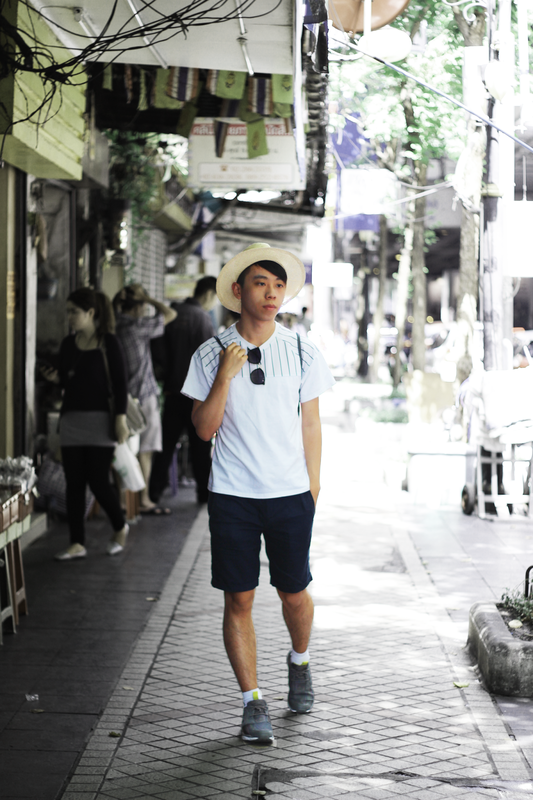 When i went to Bangkok, I loved the coconut icecreams! Wow!! 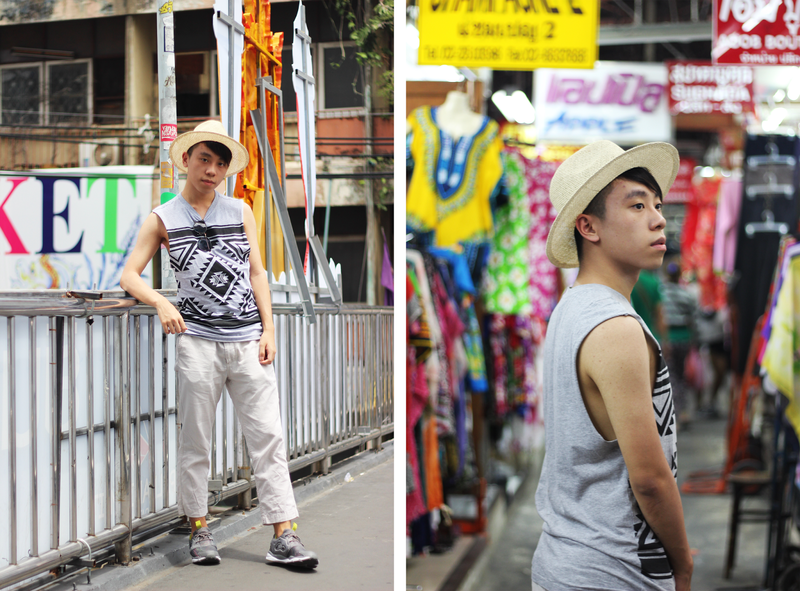 Bangkok looks so nice, love these photos! Daniel, you have quite the shirt collection, I love them all! 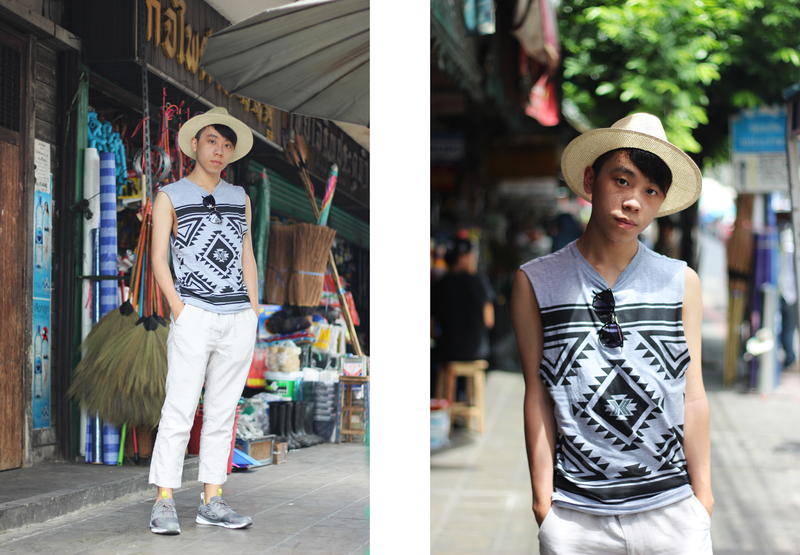 I actually really love the way that tribal printed shirt looks paired with the gingham shirt, they're a bit unexpected, yet look so good together! 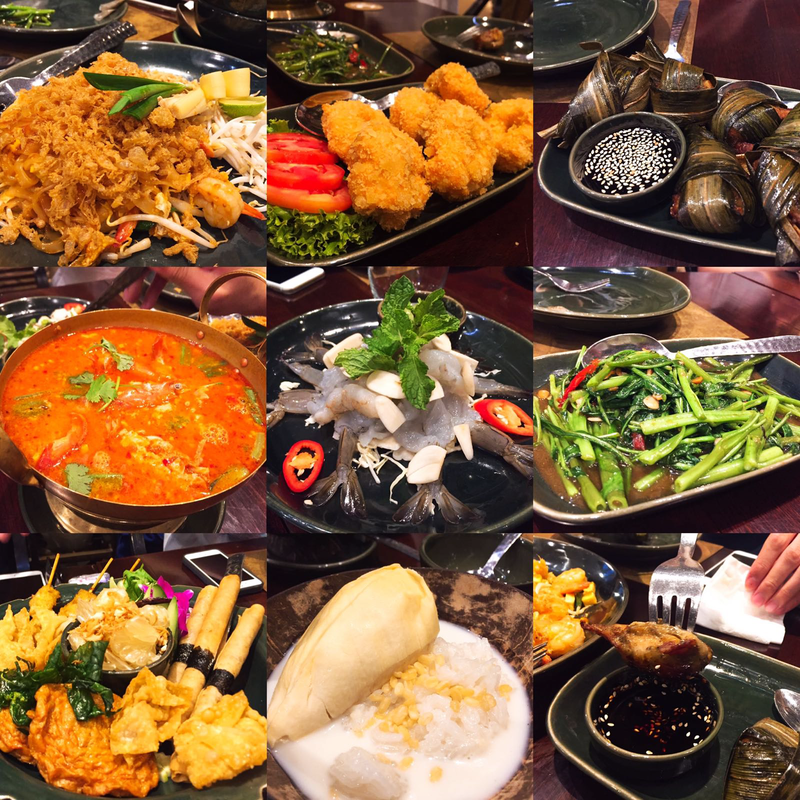 I haven't read much on Bangkok travels, but it sounds quite amazing, the food itself looks SO good! Thanks so much for sharing and I hope you're having a great week so far! All of the pics are so rad, Daniel! I hope to visit Bangkok one day!! Wow, Bangkok looks so beautiful and amazing! I haven't been there since I was a teenager so I don't remember much. I hope to go back there again one day! Lovis this simple look! And your legs are amazing!! Love your outfits, Daniel. These photos really turned out great!! Daniel, these photos are amazing! Bangkok looks like a beautiful and fun place to visit. And the food...oh the food...looks so very delicious! I hope you get the opportunity to go back again! Totally amazing pictures Daniel! 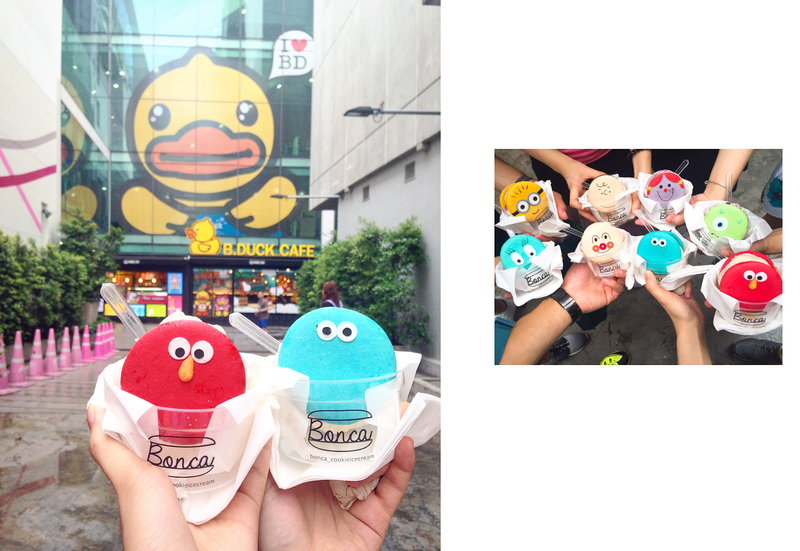 And thanks a lot for sharing all these Bankok tips! I'm planing a trip next year, and this is so great! 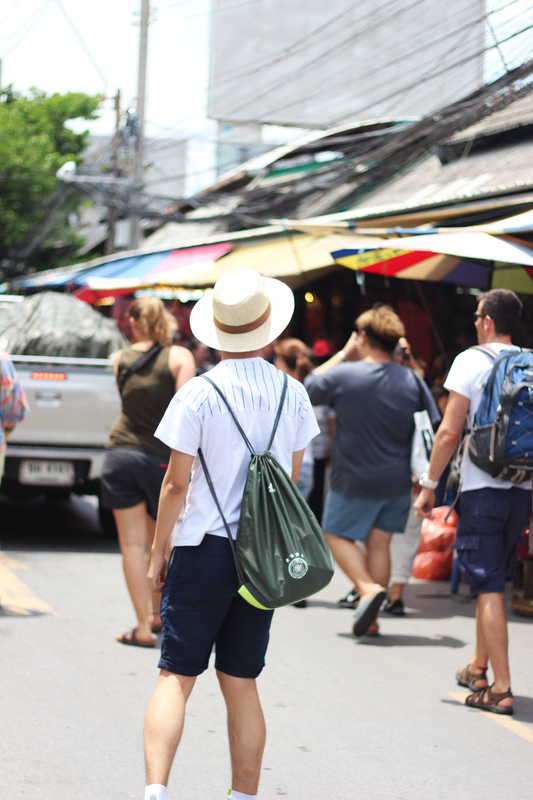 Love this little 'guide' to Bangkok, im desperate to visit! In love with your Day 2 look, so chic! Looks like an amazing trip! And you are looking so stylish! Amazing Photos ! Looks like an gorgeous trip. This looks like an awesome place, the food just looks delicious and your outfits were perfect! Great look! Relaxed but polished- perfect travel combo! I used to go to Health Land all the time for massages but a lady ripped me off last time so you’re differently right that once is enough haha Thanks for sharing great photos. 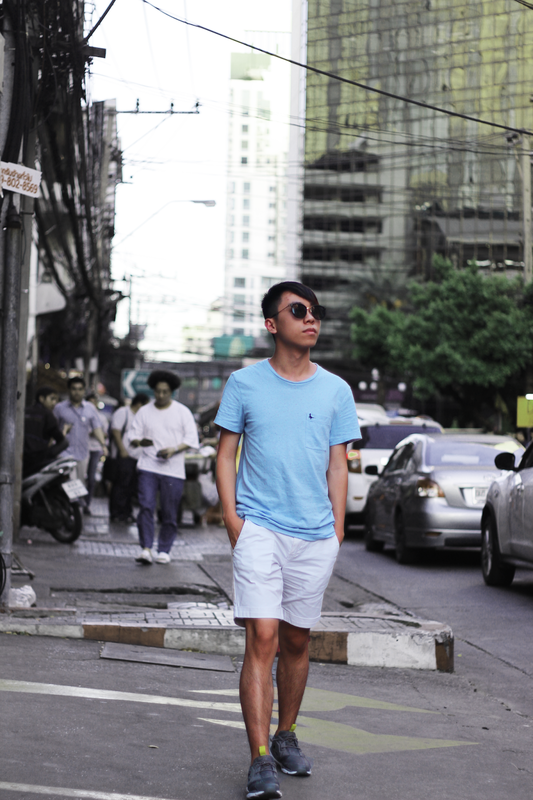 i love bangkok i can't wait to go back. hahah it'll be my 4th trip! 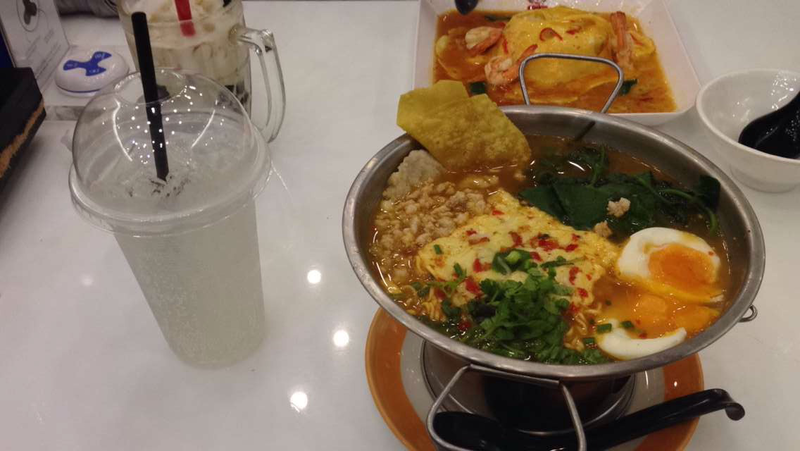 I really want to go to Bangkok one day, the food looks incredible!